Habitual players of action games may have less grey matter in their hippocampus. A new study, conducted by the researchers from the Universite de Montreal, has found that playing action-packed video games may do more harm than good. There is a general perception that playing interactive video games improves your cognitive skills and boosts brain power, but these new findings reveal that habitual players of action games may have less grey matter in their hippocampus which is a major part of the brain associated with cognition. The hippocampus is the part of the brain that helps us retain spatial memory and remember past experiences which is also termed as the episodic memory. The name has been derived from that of a seahorse as the hippocampus is shaped like that. However, researchers have now found that another important part of the brain which called the striatum is known to counterbalance the hippocampus. The striatum consists of an area known as the caudate nucleus which serves as the 'autopilot' or 'reward system' for our body. Simply put, it tells us when to eat, to drink and to do other things to keep us happy. It also controls the formation of habits and helps us remember activities like how to do ride a cycle. 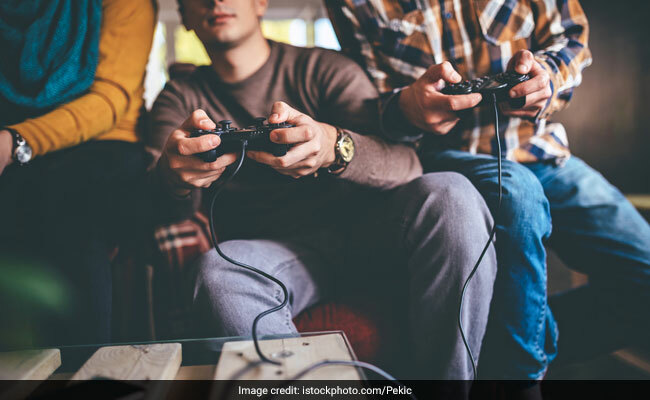 For their study, published in the Journal Molecular Psychiatry, researchers asked about 100 people to come and play a variety of games for a total of 90 hours. The results showed that consistent gaming stimulates this part of the brain as players mostly rely on the caudate nucleus to fight their way through action packed sequences. According to the scientists, a problem arises when the caudate nucleus is used more than the hippocampus, and as a result the hippocampus loses its cells and atrophies and this may lead to a decrease in grey matter. Loss of grey matter may eventually increase the risk of brain-related disorders such as Parkinson's disease, dementia, Alzheimer's disease, schizophrenia or depression. While more research is required to validate these findings, here are some foods that naturally boost your brain power and come with no side-effects. Try them. 1. Vitamin C Rich Foods: Citrus fruits are excellent for boosting brain power. Vitamin C has long been linked to enhancing mental agility. Try lemons, oranges, bell peppers, kiwis and pineapple. 2. Walnuts: Nuts and seeds are generally full of micronutrients and antioxidants that stimulate brain activity. Walnuts, in particular, are full of Omega-3 fatty acids that are known to be really for brain health. 3. Berries: Sweet and sour berries are powerful brain foods. From blueberries, raspberries to the most loved strawberries, they protect the brain against age-related cognitive decline and help maintain a sharp memory. 4. Ayurvedic Herbs: Ayurvedic herbs such as Ashwagandha, Brahmi and Shankhapushpi help improve the brain's memory functions like attention and concentration, and prevent nerve cell damage. 5. Eggs: Egg yolks are rich in choline which is used by the brain to make acetylcholine, a neurotransmitter that helps in maintaining memory and communication among brain cells.